This past week’s headlines included many variations to: “The Defense Department Training Material Declaring The Bible, Constitution And Declaration Of Independence All Sexist.” Let’s address the Bible. I found these headlines very sad, but they reinforced my calling to do something about a growing problem. I recently wrote a book called, “The New Testament Challenge.” The goal is to walk through The New Testament with people in a year. It is a system of study that helps people understand the true meaning of the Bible, by understanding some basic ideas about the original author, audience, culture and context of each book. I wanted to write this because of the need for such a book. You can’t read the Bible correctly, unless you play by the rules. The main rule is; the Bible is filled with conversations between two parties and often times we only see one side of the conversation. I will illustrate this point by telling you a story. Imagine you live in a major trade city on the Asian Coast many years ago. The worship of a female fertility goddess is the touristic draw to the city. The local economy is largely centered on the production and sales of miniature statues of the idol. The leaders of this cult are women priestesses who dominate men sexually. Traveling men are drawn to this type of worship because they are away from home and believe no one will know. Hometown men are drawn to this type of worship for sexual reasons as well. Women are drawn to this because they get to be in charge. They have power, in a time when women didn’t have any power or influence. When the Apostle Paul came through this city, we learn through the Bible that enough people were being converted and questioning the status quo that it created a stir and Paul had to leave. Now many of the new believers in Ephesus had to work through their old worldview to follow Jesus, and they continued to have to work through it long after Paul was gone. The Temple of Artemis was no small temple, and this cult was very influential in the Mediterranean. The Temple is one of the Seven Wonders of the Ancient World. When Paul needed to influence this church from a distance, he wrote them letters. We have some of his letters in the Bible. He communicated especially with Timothy the young pastor he installed there. 8 Therefore I want the men everywhere to pray, lifting up holy hands without anger or disputing. 9 I also want the women to dress modestly, with decency and propriety, adorning themselves, not with elaborate hairstyles or gold or pearls or expensive clothes, 10 but with good deeds, appropriate for women who profess to worship God. 11 A woman should learn in quietness and full submission. 12 I do not permit a woman to teach or to assume authority over a man; she must be quiet (I Timothy 3:8-12). Verse 9 – Artemis worshippers didn’t dress modest (especially the priestesses). The hair, jewelry and clothes were all a part of that. Verse 10- Show off your good deeds instead of getting attention for the way you dress. Verse 11 – Women had to redefine their role in the new system. They were not to take on authoritative or teaching roles in light of the fact that they were discipled in the ways of Artemis and before meeting Jesus only understood a perverted type of leadership. Sadly, just like our Defense Department and so many others who want to deface the authority of the Bible, many have quit seeking after truth. Jesus said, “seek, and you will find (Matthew 7:7b).” This is a promise. All of us seem to settle when we are comfortable with a point of view or an answer. So, the next time someone uses these verses to tell you the Bible is sexist, ask them to seek truth with you. Tell them, If Jesus is real we will find answers if we truly seek Him. 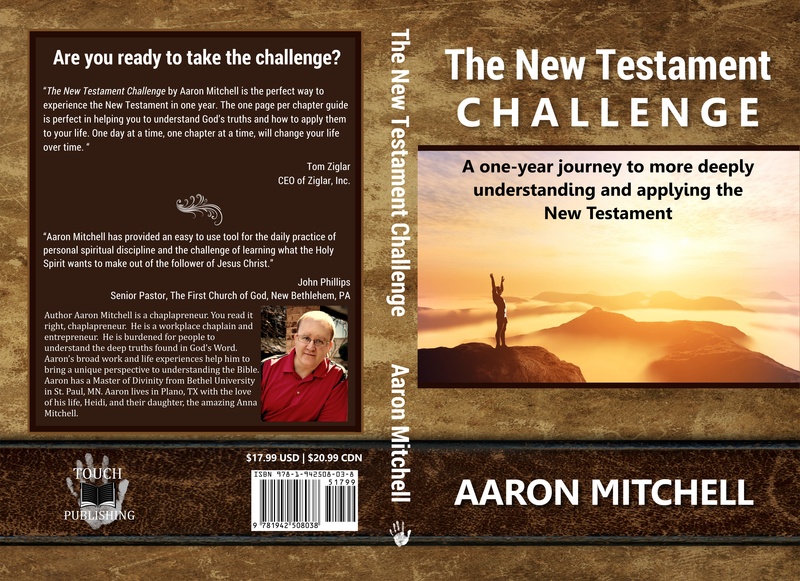 Check out my new book, “The New Testament Challenge.” It is available at Amazon.com, Barnesandnoble.com and can be found where books are sold. Also, search “The New Testament Challenge,” on Facebook to find our Facebook community. Why Don’t We Share Our Faith? If that is so, then without the Artemis Temple being the main draw in Modern Christianity, then there’s no reason for women to not have authority, to not speak in church, and to not be pastors. Yet the big named teachers from The Gospel Coalition and The Council on Biblical Manhood and Womanhood (TGC & CBMW) uphold the ban on women pastors as if it were God’s command over all cultures, all place, and all times for Eve was deceived, and so they say, that means all women are easily deceived. It is definitely a discussion. If I wrote you letter with specific instructions for you I wouldn’t need to reference your situation if it was the main topic of conversation. The greatest error in Bible reading comes with our neglect of context. That is all too true, but at least now it is coming to light and people are having that discussion. I think the status quo and the power that comes with it is too difficult to resist for some. Considering how slowly change is happening, it’ll be quite some time before the truth if fully realized, but there’s hope with every individual who lights up a little bit of the way at a time. This is a great post! I love the content! Many people think they are reading the bible properly without ever considering the context or culture. Another interesting thing is that a lot of versions of the passage you listed says “braided hair”, and just to add to the importance of cultural context, braided hair in America is a symbol of fundamentalism, piety, and purity. So yes, cultural context is super important. Congrats on the book! I’m going to check it out. I am glad you liked the post. It is an important topic. I think many people have a hard time with a post like this because we are taught to treat the Bible like a rule book or a manual. God wants people to seek Him, not just read a one-sided conversation. We are to dig deep for truth. Truth and application are buried in context. Thank you about the book. I look forward to hearing what you think. Good post, but I am not sure we absolutely need to know about Artemis in Ephesus to understand God’s roles for omen and women in the church. I definitely don’t think we can say that that knowledge means there is no reason women can’t do this or that in church, as one commenter did. And because specific roles for men and women in the church doesn’t mean that the Bible is sexist. God created them ‘male and female’, as complimentary human beings. God,seems to have created men to be loving leaders and women to be natural responders to loving leadership. There ARE situations in which God has ordained women to take the lead. Men are ‘built’ by God to do things notmdesigned for women, And vice versa. Nuff said, my friend. Good post.